One major reason the Veterans Affairs Department leaders can't fire troublesome employees: Bernie Sanders. The Obama administration is officials are moving to undo the Democratic presidential candidate’s past work as Senate Veterans' Affairs Committee chairman on disciplinary procedures in an effort to clean up the department, considering a change in employment rules for VA executives that Sanders fought for vigorously far just two years ago. [[[CAN WE ADD A CLAUSE HERE?//A.deG. --- done]]]. In recent weeks, the VA department has seen a host of job actions against senior employees overturned by the Merit Systems Protection Board, an independent, "quasi-judicial" agency that serves as arbiter on a number of federal worker cases. They include the demotion of two VA executives accused of gaming the department’s hiring system for personal benefit, and the dismissal of a New York VA director over patient safety concerns. The appeals fight has grown into an escalating intra-administration showdown between VA Department of Veterans Affairs leaders, who call the decisions off-base, and protection board officials, who blame bad legislative changes for the unsatisfactory rulings. Republican lawmakers had hoped to skip any appeals board when they reworked VA employment rules for senior executives two years ago, in the wake of the national patient wait-times scandal that forced the resignation of several top department leaders. But Sanders — the independent Vermont senator who at the time was chairman of the Senate Veterans' Affairs Committee — insisted on preserving the protection board's MSPB’s appeals role in the plan, and held up reform legislation in his chamber until it was included. For union officials, it was a small safety net in what they saw as an overly aggressive attack on their members. For VA critics, it was a poison pill that has prevented real accountability within the department for the last two years. "I felt it was important that we go in and give the [VA] secretary the ability to quickly discipline individuals," said House Veterans' Affairs Committee Chairman Jeff Miller, R-Fla. "Sen. Sanders felt like there needed to be an appeals process. … I have more faith in the secretary than I do the MSPB." He lead the Senate's veterans committee from 2013 to 2015, and touted his work repeatedly as proof he can negotiate with Republicans and reach critical compromises to help constituents. The 2014 reform legislation in particular, he said "increases accountability within the VA and ensures that all veterans have access to timely health care." 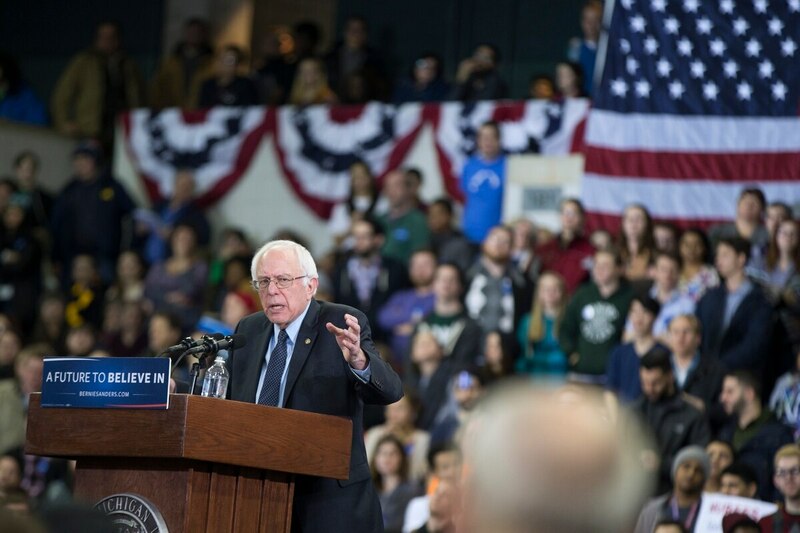 But VA officials have sparred with lawmakers over the access issues — a $15 billion Choice Card program, which Sanders reluctantly backed — and appear to be taking aim at the accountability reforms as well. In testimony before Congress earlier this month, VA Secretary Bob McDonald indicated he's looking to do away with the appeals process for senior executives, moving to a firing process closer to what Miller and other Republicans had originally backed. "It seemed to us like the Merit System Protection Board judges didn't understand the intent of Congress or our intent in punishing those employees," he said. "(Changes) "would give us more flexibility in terms of paying [employees] competitively in the medical community, as well as giving us greater flexibility and disciplining them without all of the things that happened with this." That's a dramatic change for the department, which opposed similar disciplinary policies proposed for the entire VA workforce last spring. And it has sparked a furious response from officials with the Senior Executives Association, which represents the federal workers at the heart of the fight. "The implication in all of this is that VA is going to fire its way to excellence, despite what Secretary McDonald says," said SEA Interim President Jason Briefel, the association's interim president. "What we’re talking about is making it easier to punish executives with no review, no cause, no public record." Officials with the Senior Executives Association SEA officials — who along with protection board members MSPB officials strongly objected to the last VA employment reform measure — said some appeals process must be included in any new dismissal policies. Critics Briefel also said that critics need to stop "scapegoating" senior executives, Briefel said, adding that those as the main reason for VA’s problems, saying the roughly 400 or so individuals represent a fraction the rules cover are just one small aspect of a the 350,000-plus-employee, $170-billion department. That’s a call that also echoes Sanders' comments defending VA workers at the height of the 2014 wait-time scandal. The senator took criticism from numerous veterans groups for being too positive about the department’s work at a time when he was leading a committee charged with oversight of VA’s failings. Earlier this month, at a New Hampshire town hall event, Sanders acknowledged that "we should have acted sooner" on reports of wait-time problems and expressed regret that he didn’t have a quicker solution for answer to "those long waiting lines and the lies that some administrators were telling us." Since then, issues of accountability have stymied VA reform efforts, with lawmakers from both parties upset by the heavily critical of a lack of firings and absence of criminal charges for the most egregious various wrongdoings. VA officials have defended their action moves, calling it them as responsible management. They point to the early retirement of numerous executives in the wake of the wait-time scandal as evidence that troublesome officials are being forced out, even if they haven't been fired. They also accused lawmakers of overhyping problems within the department, saying lawmakers are conflating malice and malfeasance with mistakes made by under-trained supervisors with malice and malfeasance. But they have also promised to aggressively target any employees who harm veterans. [[[EXAMPLES?//A.deG.]]] -- reworked the previous two grafs. On Tuesday, VA Deputy Secretary Sloan Gibson said he would ignore the protection board's MSPB ruling regarding the New York administrator accused of undermining patient safety, citing technical legal reasons and broader moral authority. "We expect our career leaders to be compassionate advocates for veterans and live up to President Lincoln’s promise to care for those who have borne the battle and their survivors," Gibson said in a statement. "The [protection board MSPB)] judge’s decision today runs counter to VA’s core values." The inevitable legal fight expected to follow this decision will likely serve as a backdrop for the new debate over VA senior executive employment rules, this time without Sanders in a lead role. Meanwhile, one of Sanders’ Republican presidential rivals — Florida Sen. Marco Rubio — has offered his own legislative plan to speed disciplinary actions against VA employees and strip pensions from department executives convicted of a crime. Other Republican hopefuls have promised similar tough new firing rules to deal with problems at VA. Both Miller and Sanders' successor — current Senate Veterans Affairs Committee Chairman Johnny Isakson, R-Ga. — have promised to move quickly on the issue this spring. Miller said he's hopeful Democrats in Congress will be enthusiastic supporters. "This cuts across party lines," Miller said. "Nobody wants to see an employee reprimanded inappropriately, but those that need to be, it needs to happen quickly so the American public can have their faith restored in their government."